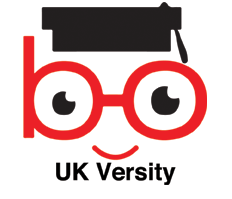 UK Versity > News > News > UK eases rules, gives students more flexibility for work visas. UK eases rules, gives students more flexibility for work visas. International students in the UK will soon enjoy more flexibility in switching over to work visas, with new immigration rules set to be introduced from January 11. As per the new rules, foreign students can switch over to Tier-2 visa (or skilled worker visa) as soon as they complete their course. According to current norms, they must wait until they obtain a degree to apply for the Tier-2 visa. This gave students only a small time frame to find a job while still in the UK. For example, students opting for higher education, such as a PG degree, had to wait for their thesis to be marked or a degree to be awarded after completing their course before they could apply for a work visa. “The new rule will enable them to apply for a Tier-2 visa a few months earlier than what would otherwise have been possible,” explains a newsletter by EY-UK, one of the big 4 business consultancies. London mayor Sadiq Khan has advocated a new category of post-study work visas. In his blueprint paper—’Immigration, a future approach’, Khan had pointed to dwindling international student numbers. His suggestion was that a post-study work visa should be distinct from the Tier-2 route and should enable students to work in the UK for 12-24 months after graduation. Relief result of talks between UK universities, government. However, for now, international students will have to make do with a slight relaxation in the rules. According to immigration experts, this change is the result of a prolonged dialogue between UK universities and the government. As student visas, known as Tier-4 visas, are granted for the duration of the course plus a few months, it hampered the ability of international students to look for jobs in the UK. For instance, a Tier-4 visa for a long-term study course (more than 12 months) is granted for the course duration-plus four months. If international students are unable to find a job within the window, they had to return to their home country. Thus, currently, many students holding a Tier-4 visa are unable to switch to a Tier-2 visa because they have not yet obtained their degree and their student visa is about to expire.